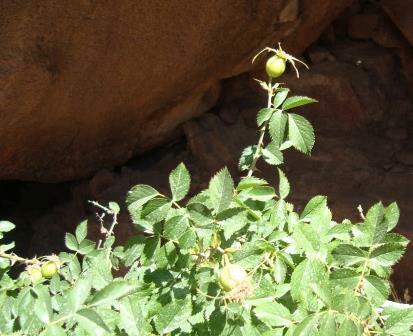 Sinai Rose, Rosa arabica, is endemic to the high mountains of south Sinai, Egypt. The global population is less than 100 individuals, localized in nine locations within St. Katherine Protected area (SKP). It is threatened by over collection of the local community (due to its medical importance), over grazing and scientific research. This project will assess the species’ conservation status and develop a long-term conservation plan. We will map the species distribution with the help of the local community and identify and rank the threats using a threat reduction assessment tool. We will also complete soil and vegetation community structure analyses and conduct awareness raising campaigns among the local community and SKP rangers. As a result, the species will be added to the IUCN Red List and suitable habitats will be identified for in situ / ex situ conservation action. We will publish the results of our project. Above all, we expect to improve local environmental awareness and provide a conservation strategy to SKP management.